A lot of people relate blockchain to digital currency but it is a lot more. This uniquely decentralized platform is rapidly maturing offering multiple applications that even the US Department of Defense is looking at. The depth of these disruptive technologies and how they can accelerate innovation in multiple industries is just now being recognized. So, will these technologies continue and are they secure? As defined by Wikipedia, blockchain is a decentralized and distributed digital ledger that is used to record transactions across many computers so that the record cannot be altered retroactively without the alteration of all subsequent blocks and the collusion of the network. In general, it is the decentralization and auditing that offer unique security features over todays centralized data. Typical information technology networks today require centralized database access that has been the subject of some of the largest data base hacks costing millions of not billions of dollars. The recent attack on Equifax hack exposing 143 million Americans is a prime example of the security risks in centralized data at rest depositories. So, can blockchain truly be secure on a public network? Blockchain still runs on the public Internet that depends on encryption technologies to secure it. This digital house of cards uses public encryption keys that are exposed in transactions and susceptible to cracking by ECC (Error Correction Code). There are also concerns that the advances in Quantum Computing could crack all current encryption. The National Institute of Standards and Technology (NIST) has been studying this problem and is focusing on post quantum encryption solution proposals still open in their Post-Quantum Crypto Project. Current encryption technologies are also static in nature allowing hackers the ability to tracking crypto keys size and patterns. Sophisticated attackers are even using Artificial Intelligence (AI) to monitor crypto static patterns and more rapidly crack crypto keys. These same patterns can be captured in even multi-factor authentication offering hackers direct access to targeted systems. So, is there a band aide for blockchain security today and in the future? Encryption technologies will involve in public networks but as they do there are other was to harden blockchain security. As these capabilities are being addressed, there are companies such as TLC Secure that are offering Virtual Private Networks (VPN) and Network Cloaking Technologies for community of blockchains with member nodes securely connected within their community. This added protection enhances the existing blockchains platform while adding an additional layer of security in both the public and private layer. The TLC Secure offering called NVIS offers extensible security that enjoins the host nodes of any private blockchain (institutional or enterprise) or public blockchain (i.e., Bitcoin, Ethereum, Litecoin, Ripple, Dash, Zcash, Monero, etc.). Nodes are rendered invisible to hackers, thieves or snooping from the public Internet, thereby reducing risk from exploits, denial-of-service downtime of strategically critical blockchain nodes that can impact cryptocurrency market operations and disrupt transactions. Simply put you can’t hack what you can’t see. TLC Secure is offering a pre-ICO completing a Proof of Concept of these matured and operational technologies. See more in Medium article. From law to technology it just doesn’t seem that blockchain is going away. Initially wanting to regulate blockchain applications, it seems several members of the US Congress are drafting legislation that is intended to recognize certain digital currencies and protect them against interference from the federal government. Clearly the value vs. the risk of blockchain is beginning to be recognized. Even the 900 billion dollar US Senate defense bill is calling for a block chain security study. As new applications are recognized the use of blockchain technology will increase as newer and more decentralized security technologies become recognized. 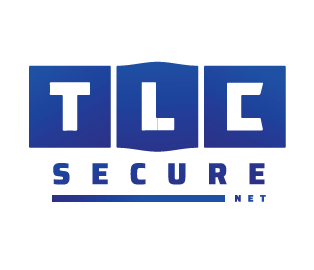 Companies like TLC Secure will continue to refine and improve these technologies as customers continue to embrace the need for solid security platforms.